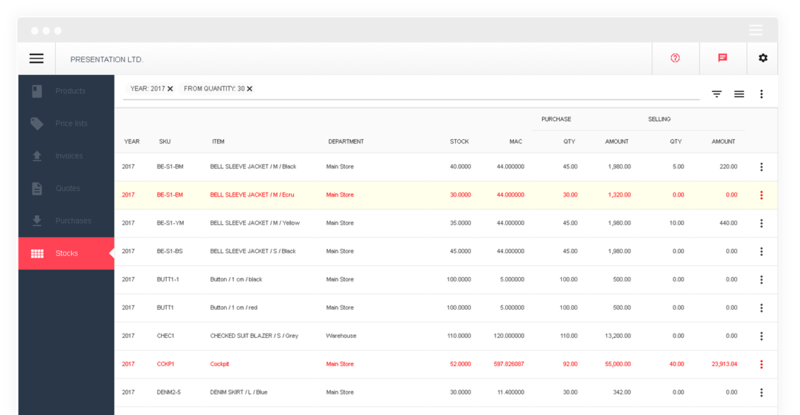 Get an overview of your stock data with multi-warehouse option, minimal quantities and expiring items. Find out how you can gain full control of your stock and inventory data using Backstore. Make a quick search for items by quantity, category, SKU and custom properties. Track stock by multiple warehouses and easily transfer quantities when needed. Get a deep insight into all historical stock transactions with direct links to documents. Reserve quantities using quotes. Reservation automatically expires when quote is overdue. Analyze stock quantities for products with expiry date like food and drugs. Set minimal quantities for each product to be alarmed when it is time for a new purchase.